Draft: 2016, St. Louis Cardinals, 1st rd. Played college baseball at Mississippi State University... Posted school-record streaks of 34.2 innings and 27.0 innings without an earned run during his junior (2016) season with the Bulldogs... He and his wife, Ashlen, reside in Dunlap, Tennessee. Was 10-5 with a 3.01 ERA over 25 starts between Springfield (AA) and Memphis (AAA)... Led the Texas League in ERA (2.53) and winning percentage (.692, 9-4)... Named 2017 Texas League Pitcher of the Year... Selected to the Texas League All-Star Game and started for the North Squad throwing a scoreless 1st inning... Named a Texas League Post-Season All-Star... Ranked among Cardinals minor league leaders in wins (10, T5th), innings pitched (152.2, 2nd) and games started (25, T4th)... Made two starts in the Pacific Coast League playoffs and was 2-0 with a 2.25 ERA over 12.0 innings with 10 strikeouts. Led all Triple-A postseason pitchers in wins. July 27, 2018 St. Louis Cardinals selected the contract of RHP Dakota Hudson from Memphis Redbirds. July 16, 2018 Memphis Redbirds activated RHP Dakota Hudson from the temporarily inactive list. July 14, 2018 Memphis Redbirds placed RHP Dakota Hudson on the temporarily inactive list. May 12, 2018 Memphis Redbirds activated RHP Dakota Hudson from the temporarily inactive list. May 7, 2018 Memphis Redbirds placed RHP Dakota Hudson on the temporarily inactive list. February 7, 2018 St. Louis Cardinals invited non-roster RHP Dakota Hudson to spring training. July 29, 2017 RHP Dakota Hudson assigned to Memphis Redbirds from Springfield Cardinals. May 30, 2017 Springfield Cardinals activated RHP Dakota Hudson from the temporarily inactive list. May 26, 2017 Springfield Cardinals placed RHP Dakota Hudson on the temporarily inactive list. March 22, 2017 RHP Dakota Hudson assigned to St. Louis Cardinals. September 7, 2016 RHP Dakota Hudson assigned to Springfield Cardinals from Palm Beach Cardinals. August 7, 2016 RHP Dakota Hudson assigned to Palm Beach Cardinals from GCL Cardinals. June 24, 2016 RHP Dakota Hudson assigned to GCL Cardinals. 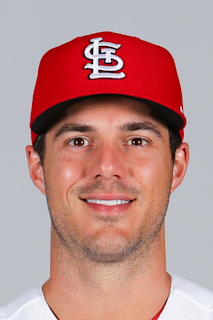 June 18, 2016 St. Louis Cardinals signed RHP Dakota Hudson.